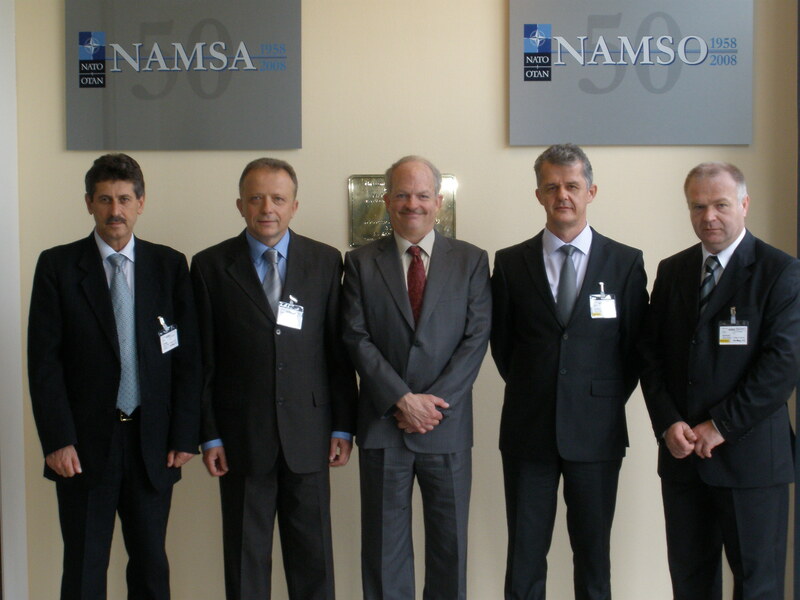 Serbian Defence Ministry Delegation participate in 101st AC/135 Main Group meeting held at NAMSA in Luxembourg from 22nd to 25th May, 2012. Two members delegation consists Director Col Zoran Spasojević and LtCol Vladimir Bukvić, chief of group of standardization and codification. Republic of Serbia started codification activities in 2010, when it was admitted as a sponsored non-NATO country in the Codification Committee AC/135. At the meeting our delegation informed the participants that Serbia had provided all the information and communication requirements (NMCRL, NABS and NMBS), had codified 100 items of arms and military equipment, which had created conditions for application for testing to obtain the status of Tier- 2 - full capacity for work of codification. During the visit, Serbian Delegation discussed to the Chairman of the committee AC/135 Mr. George Bond and chief of Codification branch in NAMSA Mr. Steve Arnett. On this occasion, support for the accession of Serbia to a higher level of sponsored membership Tier-2, by the end of this year was expressed. During the visit, on the meeting, information was exchanged with directors of the National Codification Bureau of Germany, France, Italy, Denmark and Great Britain, in relation to the achieved level of bilateral agreements for codification. Details for the workshop about codification,which will be held in september 2012, in Serbia, were also discussed by director of the National Codification Bureau of Bulgaria Colonel Stoyan Kunin, and possible topics for the workshop concerning codification, which should be held in October, were reviewed by director of the National Codification Bureau of Austria Colonel Werner Friedl.